Call today for your San Francisco Limo Service – 1.800.380.9788. Do you have clients flying into SFO that you want to impress? If you book a reservation with our San Francisco Limo Service, one of our chauffeurs will pick them up from their location and whisk them off to meet you. What a better way to impress your date by having them chauffeured around the city with you. You can focus 100% on your date and leave the driving to us. You wont have to worry if you had one too many or not. Its better to be safe than sorry. Just give us your itinerary and we’ll get you to all your events on time. Our San Francisco limo service will transport you to and from SFO San Francisco Airport in one of our luxury cars, giving you last minute prep time before the flight or a chance to relax as we take you home – all at a competitive, affordable price! We’ll let you sit back and enjoy the scenery as our trained, experienced chauffeurs ensure you safely arrive at your destination. That means starting your vacation earlier or giving you more time to perfect your business presentation! A reservation with Bay Area Car Service means you won’t need to worry about arriving at the airport on time to get through security only to hear your name over the loudspeaker as final boarding is called. You can leave your car safe in your garage, not in the long term parking lot, and save on the costs associated with daily parking. Our San Francisco Limo Service will ensure you make it with plenty of time to spare, to browse the newsstand before your flight. Dont depend on a taxi or Uber, you may wind up waiting in the rain and cold. Our friendly drivers will pick you up where and when it is convenient for you, any time of the day, dropping you off directly at the terminal, hotel, convention center or your front door. 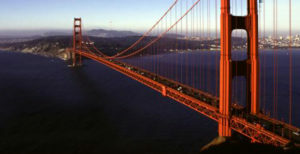 Our San Francisco Limo Service will get you to your home, hotel or office safely and quickly. That’s our guarantee. We know that flying – or even just getting to the airport – can be nerve-wracking, especially when dealing with picking up and dropped off strangers; let us take over the driving while you take a break. Flying in to SFO and need transportation around the city for your vacation or multiple business meetings? 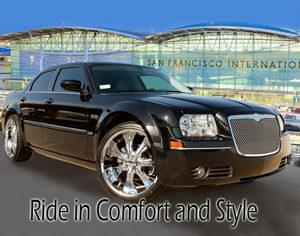 Our San Francisco limo service provides hourly transportation. Enjoy the luxury of being chauffeured at a reasonable, competitive rate. Ready to book a car? Call 1.800.380.9788 or click here to reserve your San Francisco Limo Service! The San Francisco Ballet is the perfect surprise for that special holiday date. For more info visit the official San Francisco Ballet website. Ride to the Giants games in style. You’ll save money on parking by not parking your car. Book your tickets then book our SFO Car Service! Book your San Francisco Limo Service Reservations Today!